Social Networking Website project is developed using c# language on asp.net platform. The social networking site project is a web based application developed in asp.net. A social networking site is an online platform that allows people to create a public account and interact with other people on the website using internet. Abstract: A social networking site is an online platform that allows people to create a public account and interact with other people on the website using internet. The social networking site concept not a new for all. We all aware and familiar with social networking concept in real word. Currently the facebook, youtube, twitter and many other popular social networking site take place in each home. In this .net project post we try to develop social site similar to facebook to communicate all people at one place. In our project we develop a platform for all people to communicate each other at any time from any where. The Social Networking concept is not a new concept, we implement some new facility in our website for easy communication without wasting a time. In this Social Networking project we will also learn about basic uml diagram of this project like use case diagram, e-r diagram, activity diagram and data dictionary in this asp.net project post. 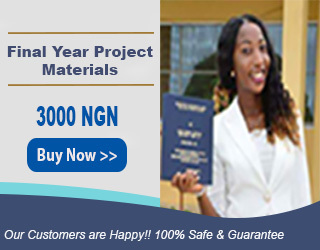 In the end part of this post we provide project download link for educational purpose. A social networking site is an online platform that allows people to create a public account and interact with other people on the website using internet. In this social networking site project users can create free account and communicate with other users by making friends. A registered users can make there virtual world on our site and share good thoughts and ideas to other users by writing a post on this site. After become a members of the site users can search people, make friends, send messages, send sms on mobile, make picture gallery, share images using meme generator use all other facilities of our website. There are some modules we developed in this system, we will discuss all in detail in below section. Here, we will describe some modules or facilities of the social networking site. Search Module: A registered user can search other user by name and send them friend request and view his profile and picture gallery and also send him messages. Post Module : In this post facility user can share their thoughts to other user via writing a post and users can read and making reply by like post and also share the post in his account using share button. The post is a private shared message which can read by only our friends network. 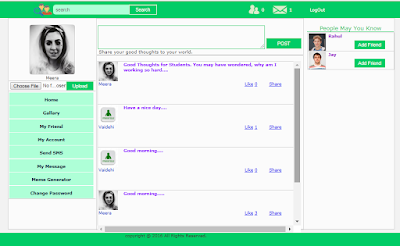 Friend Module : A friend module is main base module for all social networking site. we all familiar with this word add friend in social networking world. The same functionality we have developed in our friend module, sending friend request to other user and request would be accepted or rejected by request received user. Gallery Module : A gallery module allow user to create albums and upload images in album to create picture gallery. The user can also manages the gallery can edit, delete images and albums. Send SMS : In our system we provide facility to send text messages on mobile using our website. here we have used third party API for sending sms on mobile. Send Messages : All users can send and receive messages to and from his friends. All user have an inbox to keep the received messages and he can reply and delete message as per his need. Meme Generator : The meme generator is a concept to write a text on picture. In a meme generator module user can write text message on image and share that image via post or upload image in gallery in our website. User Account : In Account section user can update his profile detail and change profile picture, change login password.